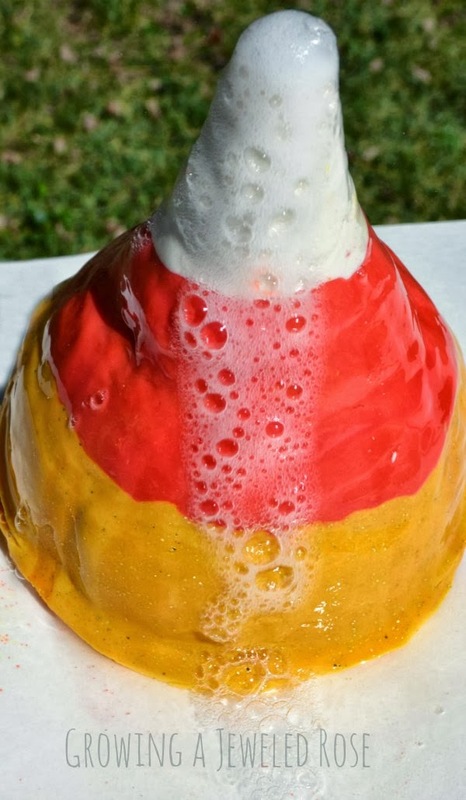 What would Halloween be without those silly striped candy corns? 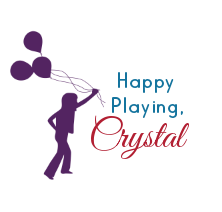 I have had lots of fun incorporating them into our October play. 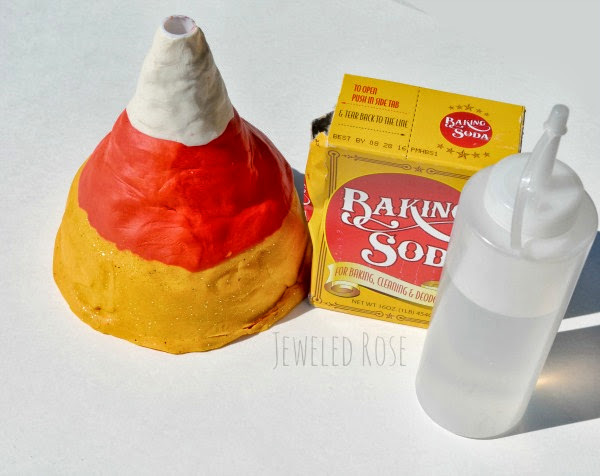 If you missed our other candy corn activities be sure to check out candy corn goop, cloud dough, and puffy paint. 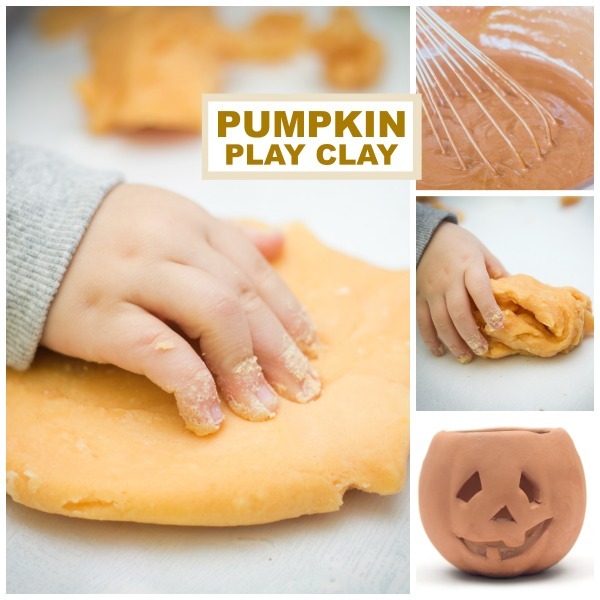 This next activity was really simple to set up, and Rosie had so much fun with it. 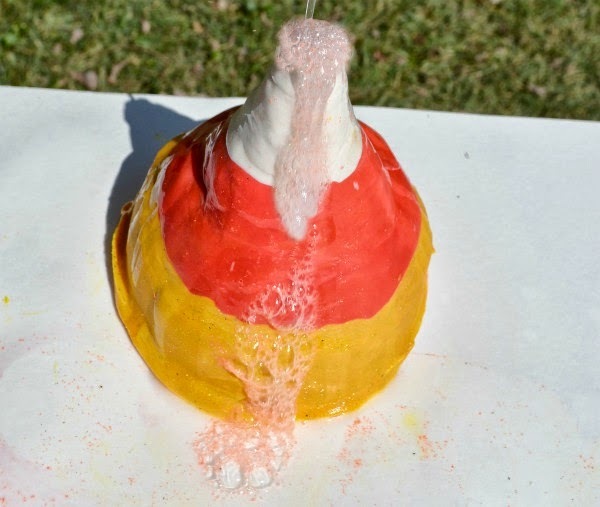 Making a candy corn volcano is really easy and lots of FUN! 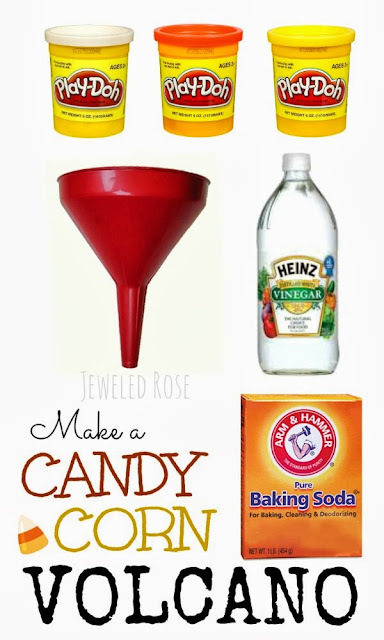 You will also need baking soda and a squirt bottle of vinegar. 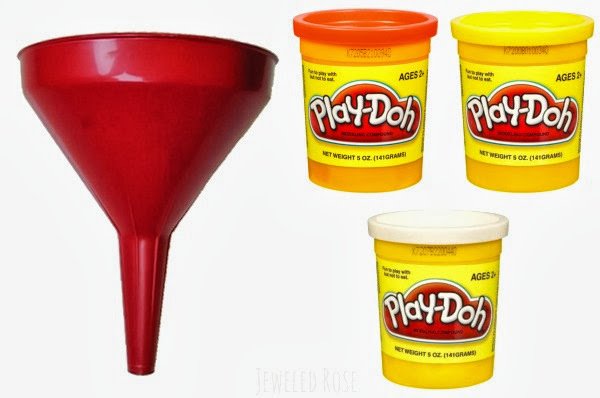 We used one of the empty Play-Doh canisters to hold our baking soda, and this worked great. 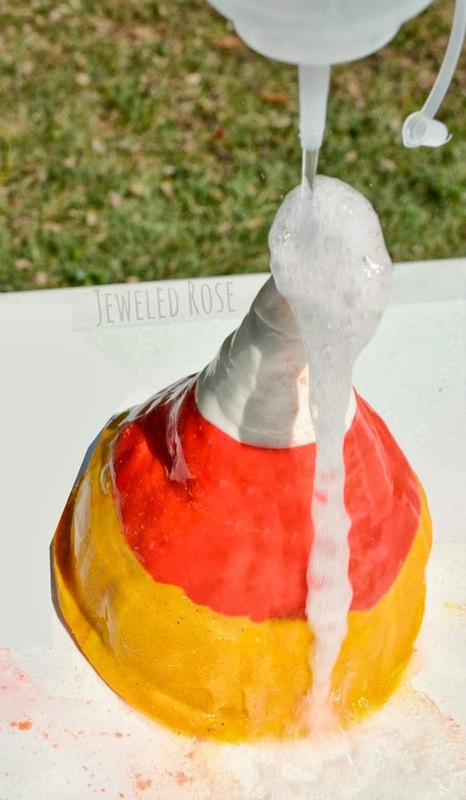 It fit perfectly under the funnel and came almost to the bottom of the spout underneath, allowing the "lava" to spew out. 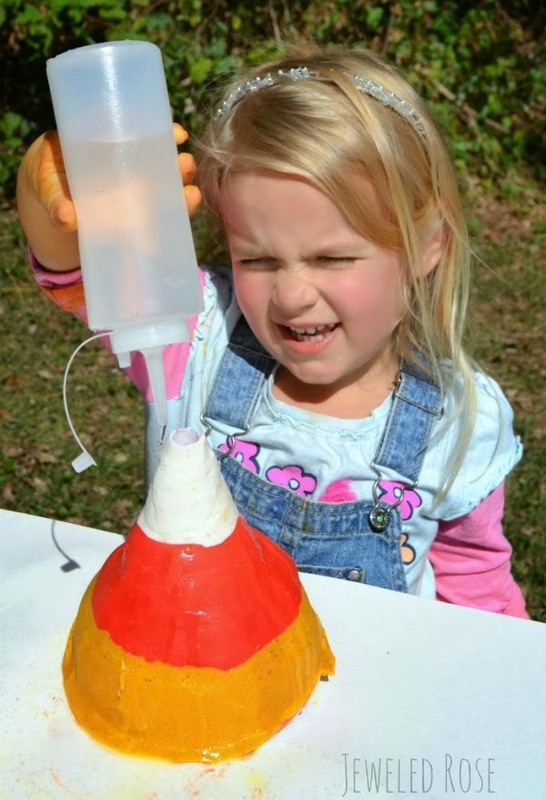 She had lots of fun playing scientist and concocting her eruptions. 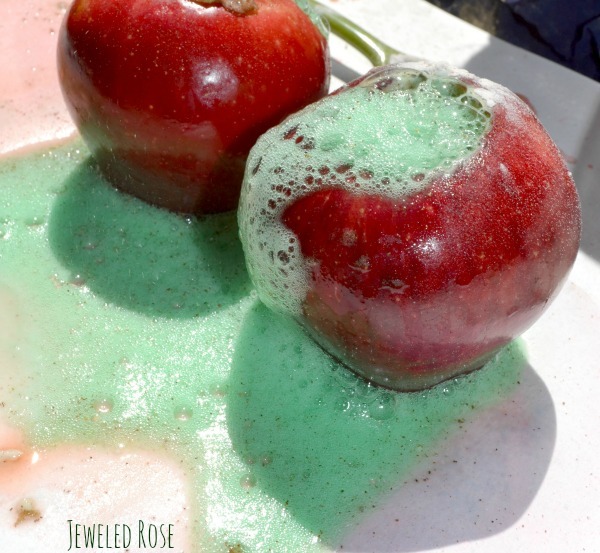 She added glitter to her baking soda to make sparkly eruptions, too! 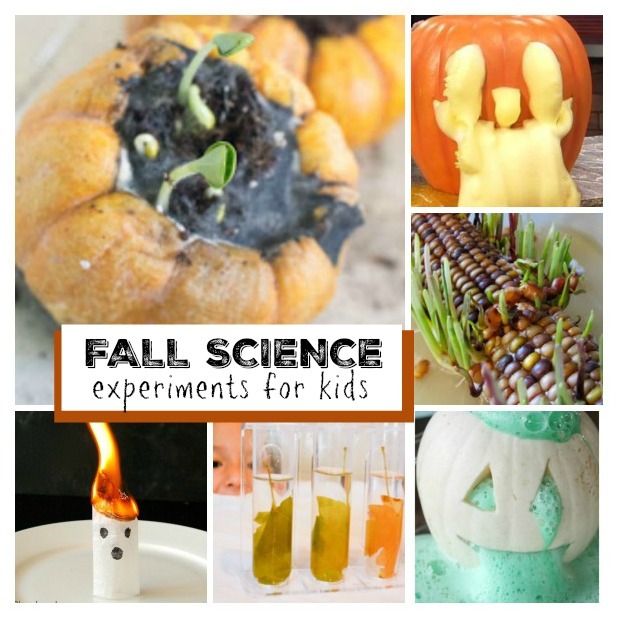 You could also add food coloring to make the candy corn eruptions colorful. We didn't this time, but next time we definitely will.